Unobtrusive monitoring of patients can make data management more efficient and useful. 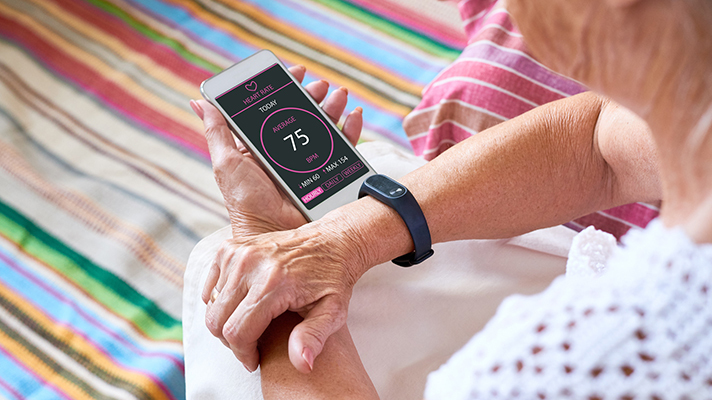 To achieve the full promises of digital health, the future of healthcare technology will inevitably revolve around unobtrusive monitoring, convenient care, and more efficient management of data, argues Juhan Sonin, director of application design firm GoInvo and a lecturer at MIT. Sonin will be describing the path of personal healthcare technology during a presentation at the Digital and Personal Connected Health Conference at HIMSS18 in March. Specifically, he will describe the breakthroughs that are pushing the industry toward “invisible” monitoring, which include the continued development of non-invasive sensors and the proliferation of smartphones among consumers. Ideally, these trends will lead to seamless health data collection throughout a patient’s daily life and more convenient access to directed consultations. But while the technology may be moving forward, there are still clear obstacles in front of the healthcare tech industry, Sonin noted. Some of these hurdles come in the form of previously established healthcare policy, which will likely take years of focused advocacy and pressure to overcome. Several issues stem from challenges related to the data themselves, such as ownership, ONC’s struggles to set a standard for health data interoperability, and how exactly data should represent an individual’s conditions or biometrics. “Currently, we don’t have a data standard for human beings. How do you express a human in code? That’s something we need before this really happens,” he said. Sonin’s presentation at the Digital and Personal Connected Health Conference will be held at 2 p.m. March 5 at the Wynn Las Vegas. The conference runs from 8 a.m. to 4:45 p.m.